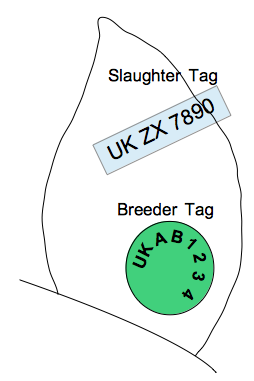 If you have purchased birth notified weaners to raise for meat, you are required to send them to slaughter with your herd mark, again prefixed with UK. You can either apply a slaughter tag or use a slap mark. 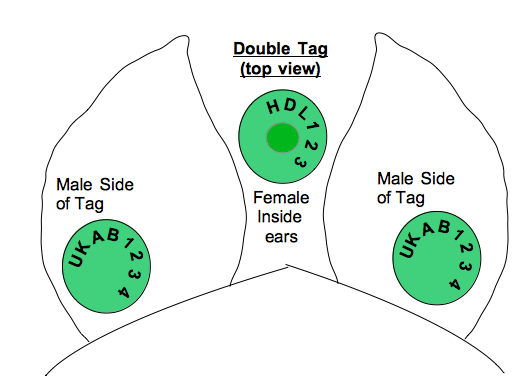 The picture below shows the slaughter tag applied – this does not necessarily need to be in the same ear as the breeder tag. 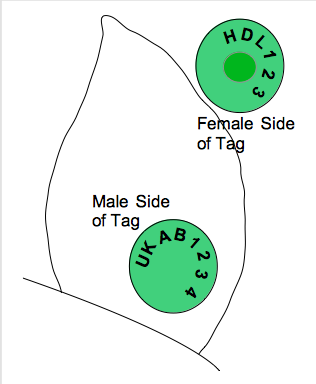 Slap marks are only required to have your Herd mark and should be applied to each of the pigs front shoulders. 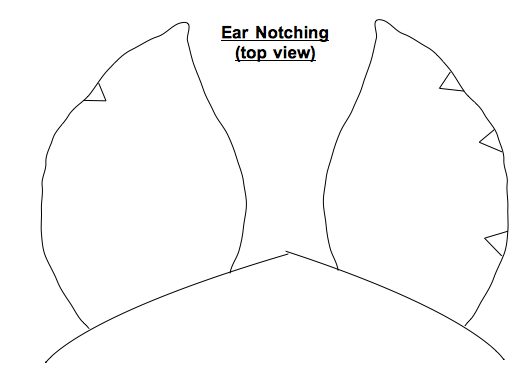 You can also ear notch, using a notching tool, the notch positions identify the pig based on its ID. for more info on application of notching, you can download the notching app (developed and written by Kristian and Tania Whittick) here or see the BPA t notching guide. 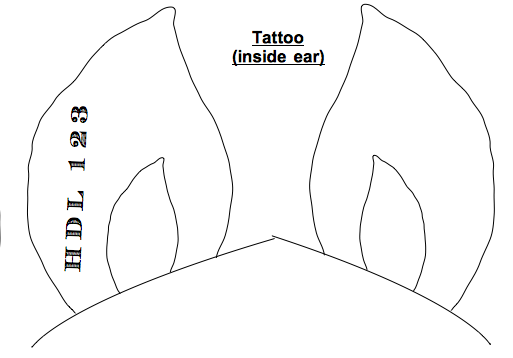 Or you can tattoo the pigs HDL ID to the inner ear using a tattoo plate. Again there are limited suppliers, like the notching tools, Fearings are a good place to start.